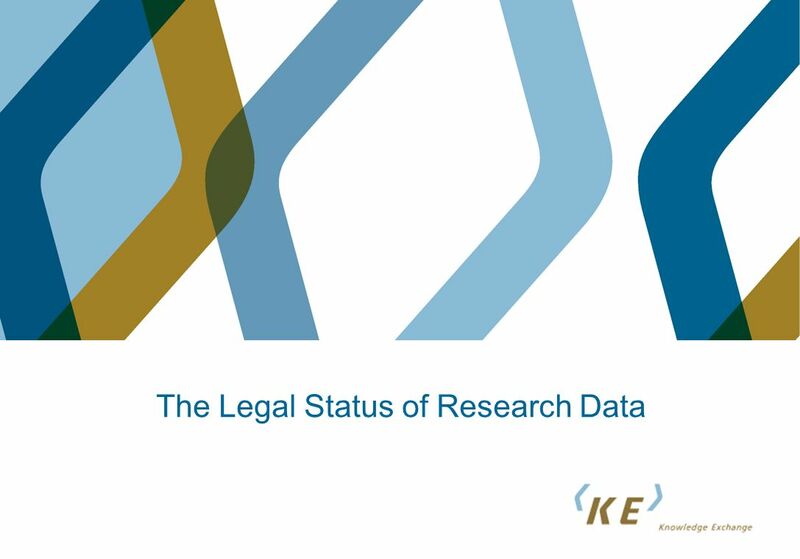 Download ppt "The Legal Status of Research Data. 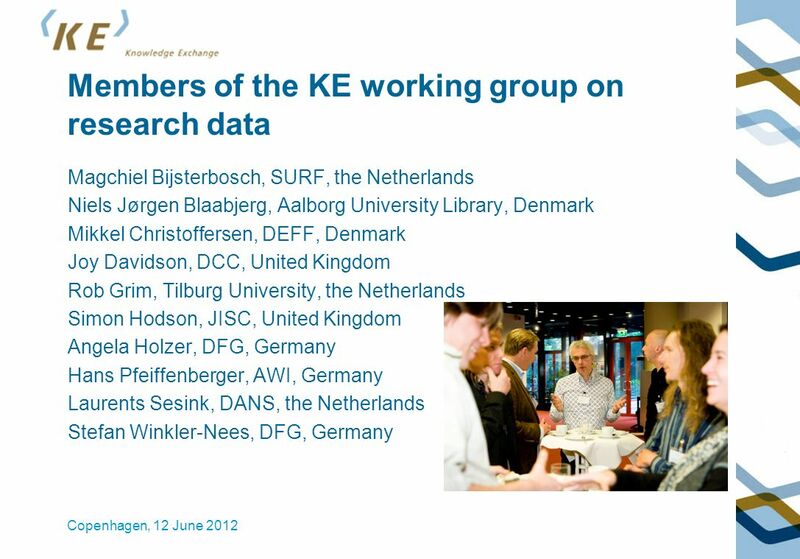 Members of the KE working group on research data Magchiel Bijsterbosch, SURF, the Netherlands Niels Jørgen Blaabjerg,"
Copyright and the Public Domain Dr. Lucie Guibault EIFL Webinar 29 November 2012 Institute for Information Law. The IPR-Helpdesk is a project of the European Commission DG Enterprise, co-financed within the fifth framework programme of the European Community © 2004. 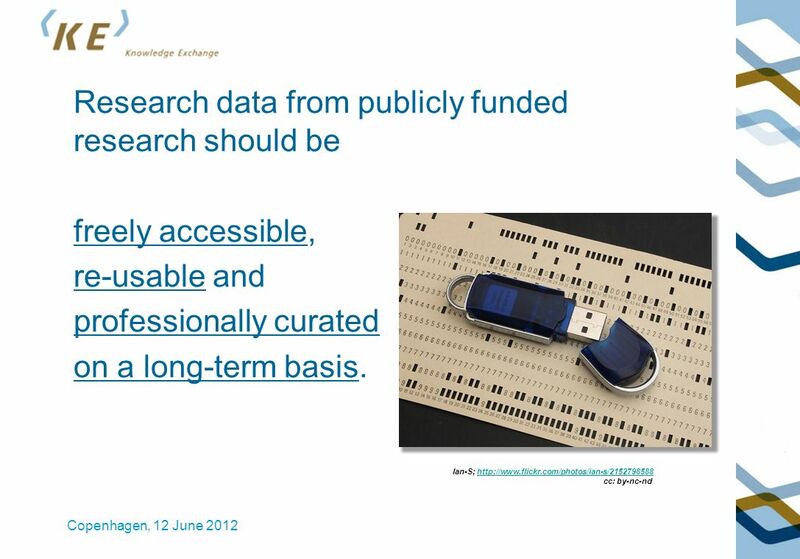 Pharma DocumentationRing (PDR) - driving industry standards Jane Whittall Director, Scientific Information SmithKline Beecham Pharmaceuticals R&D. 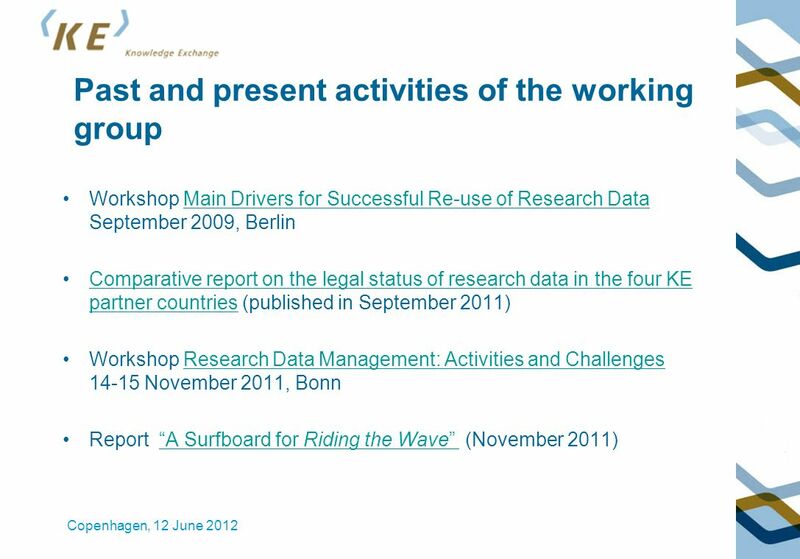 Knowledge Exchange project on CRIS/OAR interoperability Workshop on CRIS, CERIF and Institutional Repositories, CNR 10 – 11. May 2010 Mikael K. Elbæk. Open content licences Creative Commons for open repositories Iryna Kuchma, eIFL Open Access Program Manager, eIFL.net Presented at Using Open Access Models. EIFL General Assembly 2010 Session 8 Developing learning materials Teresa Hackett Programme Manager EIFL-IP. 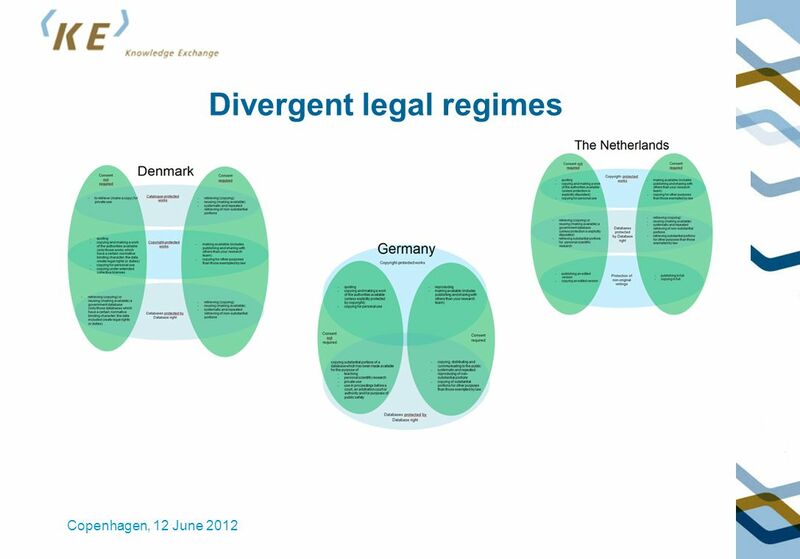 12 June 2012, Marnix van Berchum, Knowledge Exchange. 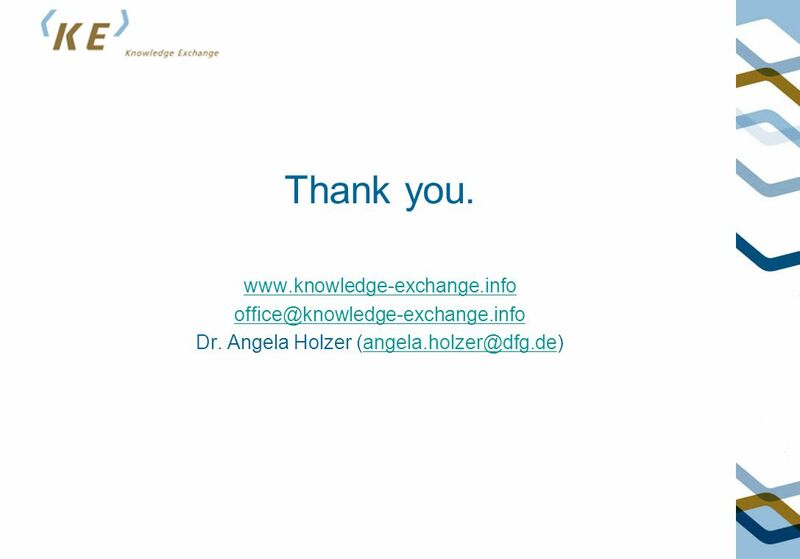 Supporting and improving open access take- up in Mediterranean Europe NORDBIB 2012 Tuesday, June 12 th Copenhagen Dr Victoria Tsoukala| EKT/NHRF Project. 1 A FUTURE EUROPEAN SPORTS POLICY In the name of Autonomy and Specificity By Prof. Michele Colucci, Tilburg University Sports Law and Policy Centre - Rome. 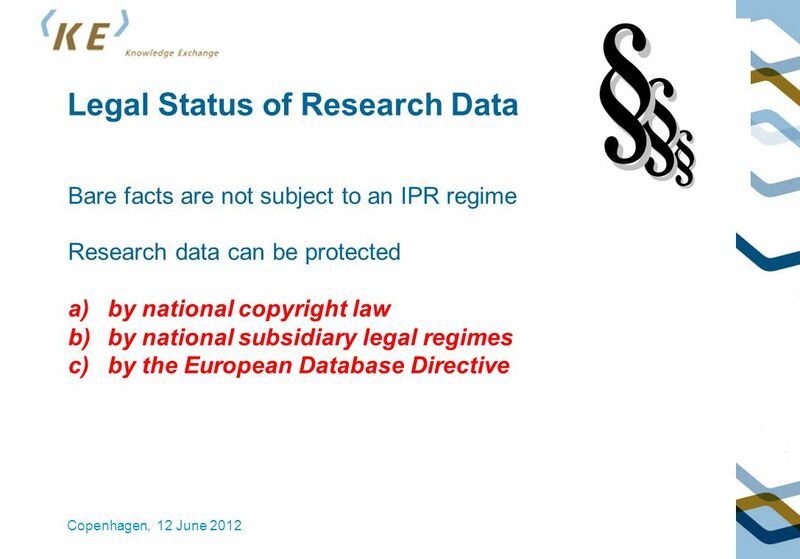 Re-use of PSI Data Protection Issues Cécile de Terwangne Professor at the Law Faculty, Research Director at CRIDS University of Namur (Belgium) 2 nd LAPSI. John Williams LAPSI/EVPSI 10 July 2012 Standardisation of Licensing – the UK Example. 4th meeting of the EC International Dialogue on Bioethics: The governance of large research and medical databases in clinical and research multi-centres. The Copyright Hub Licences for Europe Working Group 2 – UGC and Small scale users 7 March 2013 Dr Ros Lynch Director, Copyright Licensing Coordination. Marine Environmental Data & PSI Digital Data Assembly, Brussels Stephen Hodgson, Environmental Lawyer. Services Directive Bénédicte Fournier Krakow March 2009. WIPO Conference on Building Partnerships for Mobilizing Resources for Development Thematic Session 2 Science, Technology and Innovation for Development. Developing European Library Services in Changing Times Dr Paul Ayris Director of UCL Library Services and UCL Copyright Officer President of LIBER (Association. UCL LIBRARY SERVICES LERU and Open Access and E-Presses Dr Paul Ayris Director of UCL Library Services and UCL Copyright Officer President of LIBER (Association. DEVELOPMENT OF A EUROPEAN NETWORK OF LIBRARIES Hans Geleijnse Director of Library and IT Services & CIO Tilburg University, The Netherlands.